At the beginning of the year, I made the personal goal to read at least one book a month! I am happy to report I have been successful so far! I decided as a way to keep up with it, I will share what I read and how I felt about it every three months. I love reading other people's reading recommendations, so I'm excited! If you've read any of these books, let's talk about them! I love hearing other people's thoughts. I used to be a huge reader back in my youth, and slowly as I've gotten older and more responsibilities I have let the habit die. I'm a pretty quick reader, and it's amazing to me how hard it is now for my brain to get into "reading mode" and absorb a book fast. I want to get back to that place! I LOVED this book. It was pretty long, and to be honest, it took me a bit to get going, but once I was into the story I couldn't put it down. This book is a World War II historical fiction, which is one of my favorite genres. 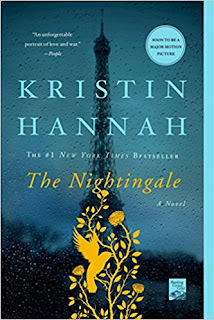 The story is about two sisters in France and it follows their experiences during the war and their relationship with each other. I feel like World War II is just the greatest example of good vs. evil, and reading about people who experienced it and how hard it was coupled with how many miracles there were is just really fascinating! I cried a lot in this book ha ha, so if you don't like reading sad things you probably shouldn't pick this up. I love it when a book can connect to you on such a deep level though, so I didn't mind it. Overall I left this book feeling a little sad, but mostly inspired. Definitely a must read. I'm going to be honest, I did not finish the last chapter of this book... ahh!!! Haha maybe I still will. I picked this one up because Alex read it and told me he wanted me to read it so we could discuss. I'll be honest, "self-help" books are my least favorite. I just have a really hard time reading them from cover to cover! Often I will read a few good quotes and then feel like I got all I needed from the book. This... was one of those books. This book was written back in the early 1900's but wasn't published until the last decade because his family thought the book would be too controversial. 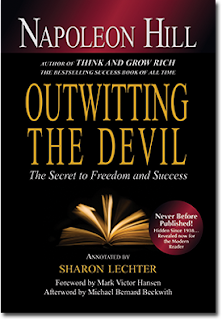 In this book, Napoleon Hill is "interviewing" the devil about how he controls people. There were a lot of great discussion points, and some truly thought provoking moments, but overall I struggled to make my way through the book. A lot of it was information I have already learned from other resources. The "controversial" part of the book was concerning his thoughts on schools and churches, which I can totally see why people would get upset, but I actually agreed for the most part with what he was saying. 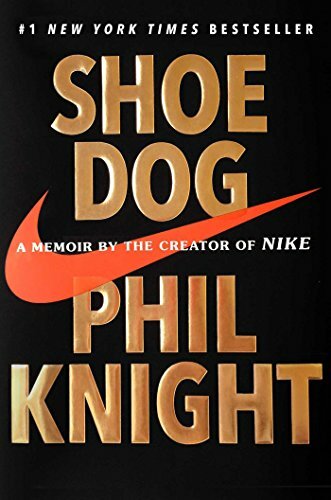 Interesting, but not a must-read in my opinion if you already believe in the power of positive thinking and forming your own opinions about things. This one is kind of a cheat... I started this book last year. 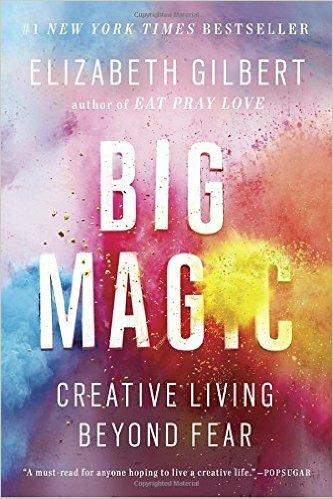 This falls into the "self-help" category again, so I did read a lot of it and loved a ton of it, and then I lost interest. What's funny though is I finally decided to finish it and realized I was 75% of the way through! I should have finished it! As far as this book goes, I really did love it. Yes, it took me a while to get through, but just because of my own personal tastes. 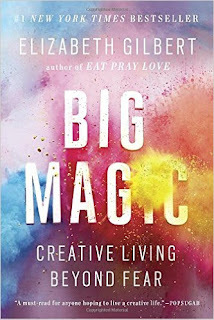 Elizabeth Gilbert is talking about creativity and how everyone can be creative if you stop living in fear, basically. I LOVED this message, because I feel like I am always thinking of cool things to do and then talking myself out of it. One of my favorite ideas from this book was when she said that other people might be doing what you want to do, but no one will ever do it exactly like you. This meant a lot to me because I'm always thinking that other people are doing things better than me, when really, I should just think that I can do those things too and add my own spin! Anyway, there were a bunch of other thoughts I liked from this book too, so I totally recommend it! What is very surprising/interesting to me about the past three months of reading is that 3/4 of them are non-fiction! I have always been a fiction person through and through so I was not expecting that at all haha. I'm excited for the next three months! I actually have another "self-help" book I want to read, so I guess I'm coming around to the genre haha. I think listening to podcasts has really helped me with that? Maybe a post for another day. If you have read these books and want to discuss, or want to read any of these books and want more info, or have any recommendations for what I should read next, let me know!! 37 Weeks Pregnant: Almost there! Big News for the Casey Family! 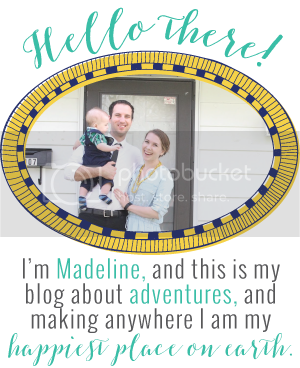 Mommy Style Monday: Get Ready with Me!